“Will my poor book ever be read by anyone? It is about a dragon and a sea serpent, and a kind of prehistoric dog and an old man and a boy and a priest. I sent it to a publisher last July and it has been lost ever since. I know it is good . . . It is unlike any story that has ever been written before.” Thus lamented Stephen Gilbert, and when a copy of the manuscript was finally found and published in 1943, the critics agreed: The Landslide was a fresh and original fantasy story, and its author was hailed as an exciting new voice in modern Irish fiction. A landslide in a remote section of the Irish coast exposes a long-buried primeval world, filled with lush and exotic vegetation and an array of strange creatures, including a dragon and a sea serpent. Twelve-year-old Wolfe and his grandfather are the first to discover the marvels, and as they befriend and communicate with the animals, they experience wonder and excitement unlike anything they have known before. But their idyllic happiness cannot last: the narrow-minded priest Father Binyon and the superstitious locals believe the creatures have been sent by the devil, and they intend to exterminate them . . . and Wolfe and his grandfather. This first-ever republication of The Landslide features a new introduction by Andrew Doyle. 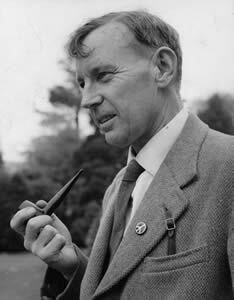 Stephen Gilbert (1912-2010) was born in Newcastle, Co. Down in 1912. He was sent to England for boarding school from age 10 to 13 and afterwards to a Scottish public school, which he left without passing any exams or obtaining a leaving certificate. He returned to Belfast, where he worked briefly as a journalist before joining his father’s tea and seed business. In 1931, just before his nineteenth birthday, Gilbert met novelist Forrest Reid, by that time in his mid-fifties. Reid’s numerous novels reflect his lifelong fascination with teenage boys, and he was quickly drawn to Gilbert; the two commenced a sometimes turbulent friendship that lasted until Reid’s death in 1947. Reid acted as mentor to Gilbert, who had literary aspirations, and ultimately depicted an idealized version of their relationship in the novel Brian Westby (1934). Gilbert’s first novel, The Landslide (1943), a fantasy involving prehistoric creatures which appear in a remote part of Ireland after being uncovered by a landslide, appeared to generally positive reviews and was dedicated to Reid. 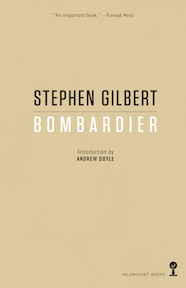 A realistic novel, Bombardier (1944), followed, based on Gilbert’s experiences in the Second World War. 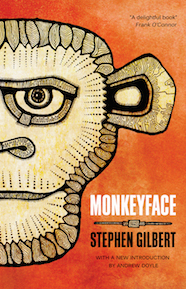 Gilbert’s third novel, Monkeyface (1948), concerns what seems to be an ape, called “Bimbo,” discovered in South America and brought back to Belfast, where it learns to talk. 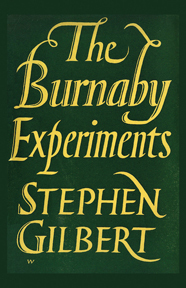 The Burnaby Experiments appeared in 1952, five years after Reid’s death, and is a thinly disguised portrayal of their relationship from Gilbert’s point of view and a belated response to Brian Westby. 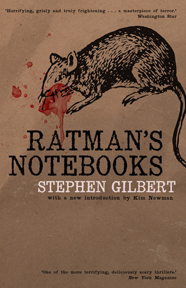 His final novel, Ratman’s Notebooks (1968), the story of a loner who learns he can train rats to kill, would become his most famous, being twice filmed as Willard (1971; 2003). Gilbert married his wife Kathleen Stevenson in 1945; the two had four children, and Gilbert devoted most of his time from the 1950s onward to family life and his seed business. He died in Northern Ireland in 2010 at age 97.